If you’ve actually been counting, it’s week 20 of the Pagan Blog Project this week. Since I’m posting for week 17, you would be correct in noticing that I disappeared for a month. Part of me is glad that it was only a month; the rest of me is surprised it was only a month. It seems like it’s been much longer, my intermission. Let it suffice to say that I missed you, and that my intermission was academically related. Graduate school exam time can be brutal. This year, mine was complicated by a complete shift in my dissertation work. Good things are afoot. Sadly they took me away from the internet. Sorry about that. Other things happened during my intermission as well. It’s interesting, and not that all surprising, that I ended up stopping after two posts about the Thracian Horseman/Hero. He’s been busy here, too. This work has been this way: mention a deity and then that deity’s Presence starts making itself incredibly, obviously known. I’ll write more about that mysterious experience (and it is a Mystery) as I find words for it. As noted when I started this blog, my (Samo)thracian journey is an ongoing process, and in many ways, I couldn’t even tell you where we’re headed yet. 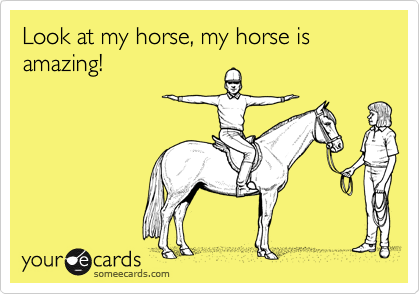 But I can tell you that we’re on the horse. Last week, I posted a poem about the Horseman. Previously, I have written about Sabazios, one of the versions of the Thracian Horseman, and linked to others’ excellent writings about Him. What’s so special about a guy on a horse? 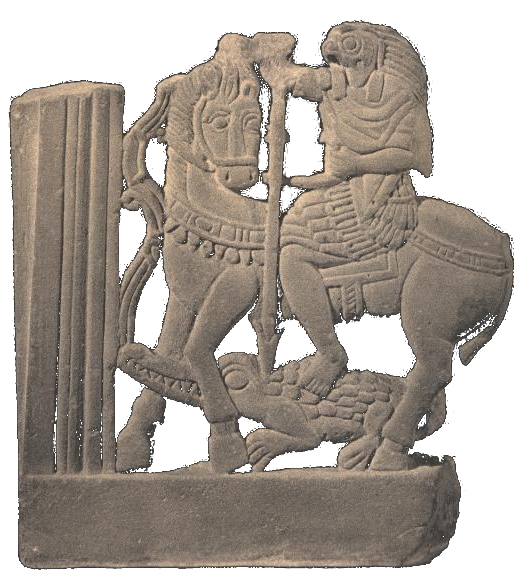 The image of a Hero (yes, another one of the Thracian Horseman’s names) riding on a horse, either into battle or off to save some innocent in distress, has been with us longer than writing. Even prehistoric cave paintings have horses and riders in them. G this week, is for god. Sabazios (Sabazius in Latin), the Thracian Horseman, comes to mind. There are a number of excellent writings on Himself, and His worship, throughout the ancient Near East in the forms of various horse-riding deities and saints, warriors and serpents. 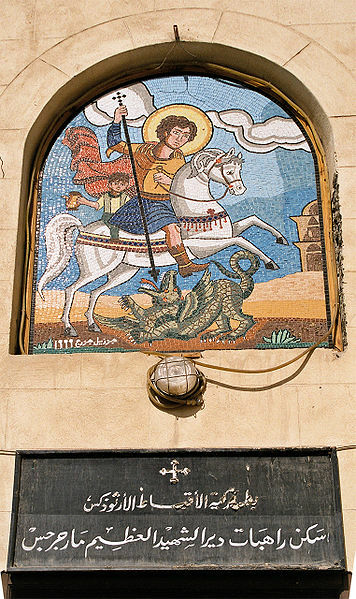 It’s even possible to see His imagery in the common Ptolemaic (and earlier Egyptian) images of Horus spearing a hippo or crocodile from horseback, that eventually morphed into Mari Girgis or Saint George, Egypt’s patron saint. Today, my Anomalous Thracian brother shared a link to P. Sufenas Virius Lupus’ most recent and most beautiful hymn to the Horseman with me, and I knew that I had to share it with you. For those who don’t link well, I hope that PSVL doesn’t mind if I share it with you here. he is the Serpent Itself. or neither, from the region of their sexes. are devotion and virtue and good speech. 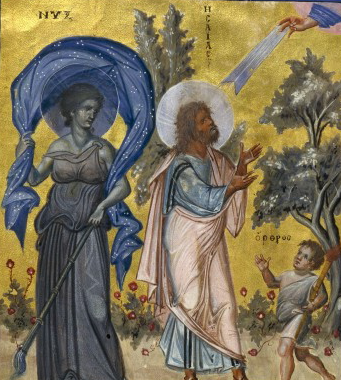 Keltoi and Galatians, and even the Greeks. and the forests of Gaul and Germania. is older than Chronos and Kairos. is the beginning of liberation. or is it he who tramples himself? may offerings and praise be gathered! Dele Mezenai, Horseman bless, each and every one of you.